Not to be confused with Dr. B. R. Ambedkar Memorial Park. Ambedkar Memorial Park is a public park and memorial in Gomti Nagar, Lucknow, Uttar Pradesh, India. It is more formally known as Dr. Bhimrao Ambedkar Samajik Parivartan Prateek Sthal and is also referred to simply as "Ambedkar Park". The park honors the lives and memories of Jyotirao Phule, Narayana Guru, Birsa Munda, Shahuji Maharaj, Bhimrao Ambedkar, Kanshi Ram and all those who've devoted their life for humanity, equality and social justice. The memorial was constructed by Mayawati, the Chief Minister of Uttar Pradesh, during her administration when she led the Bahujan Samaj Party. The memorial is dedicated to B. R. Ambedkar. The foundation stone of the memorial was first laid in 1995. Earlier, the park was named Dr. Bhimrao Ambedkar Udyan. In 2012, it was renamed the Dr. Bhimrao Ambedkar Memorial and development work continued until 2002-03. In 2007, the park underwent further renovation and development. It was initially opened to the public on 14 April 2008 by Chief Minister Mayawati. The entire memorial is built using red sandstone brought from Rajasthan. It is situated in the posh locality of Gomti Nagar, the largest planned residential colony in India. Cost of the memorial is estimated at 7 billion rupees. Its name was changed from Ambedkar Park to Bhimrao Ambedkar memorial in May 2012. There are several sites comprising the memorial park. The bronze statue of Ambedkar in Ambedkar Memorial; the base is inscribed "My struggle of life is my only message." The Ambedkar statue was modeled on the sculpture of Abraham Lincoln at the Lincoln Memorial in Washington, D.C.. This construction is the heart of the entire memorial. The sanctum sanctorum consists of many statues depicting the biography of Ambedkar. There are four doors in opposite directions. This is a construction in the shape of a flower bearing four petals. There is a bronze statue of Ambedkar seated in a chair, facing towards the two domes. The Ambedkar statue was modeled on the sculpture of Abraham Lincoln at the Lincoln Memorial in Washington. My struggle of life is my only message. Opposite to the Dr. Bhimrao Ambedkar Memorial is the Sangrahalay (museum), constructed over an area of about 2.5 acre (11,008 sq.m.). The building has two domes on top. It contains large statues of Mahatma Jyotiba Phule, Rajarshi Chhatrapati Shahuji Maharaj, Shri Narayan Guru, Dr. Bhimrao Ambedkar and Shri Kanshiram. Another building consists of 18-foot tall marble statues of Tathagat Gautam Buddha, Sant Kabir Das, Sant Ravidas, Guru Ghasidas and Shri Birsa Munda. Constructed in an area of 4 acres (16,207 sq.m. ), this place has murals made of bronze. Pratibimb Sthal is the main entrance to the memorial guarded by statues of 62 elephants either side. Constructed on an 80-foot pyramid type structure on the back of Pratibimb Sthal, the Drashya Sthal offers a vantage point from where the park, shrines, structures and sites integrate as a view of the whole area. The flow of water from the top of the pyramid entertains visitors. Since 2009 the memorial has been involved in a legal battle. In June 2009 the Supreme Court issued a stay against further building on the project, until the Public Interest Litigation (PLI) questioning these expenditure was settled. Despite initially denying even maintenance costs, in December 2010, the Uttar Pradesh government received permission to perform maintenance and completion of the park. However, as of 2015, the lawsuit was still ongoing. On 26 July 2012 a statue in the park was damaged by members of a group calling themselves "Uttar Pradesh Nav Nirman Sena". A replacement statue was re-installed overnight by the Lucknow city administration. In the Bollywood film Youngistaan (2014) actors Jackky Bhagnani and Neha Sharma shot in Ambedkar Memorial Park and were surprised with its vast scale. After permission for shooting outside the memorial in March 2014, Aditya Roy Kapur and Parineeti Chopra shot for "Rangreli" song of film Daawat-e-Ishq. In November 2015, Ravi Kishan shot for a Bhojpuri film at Ambedkar Memorial Park. In February 2016, Mika Singh and Urvashi Rautela also shot for their new music video named Lal Dupatta Kurta Chikan Ka just outside the Memorial  In 2017, the song "Jogi" from the movie Shaadi Mein Zaroor Aana, starring Rajkumar Rao and Kriti Kharbanda was shot here. ^ Patel, Aakar (13 September 2014). "Where Ambedkar is enthroned like Lincoln". livemint.com. Retrieved 21 October 2015. ^ "Dr. Bhim Rao Ambedkar Samajik Parivartan Sthal in Lucknow -UP- India -Latest Description and Photos - Lucknow Travel Guide". ^ Belli, Melia (2014). "Monumental Pride: Mayawati's Memorials in Lucknow". Ars Orientalis. 44 (20181025). doi:10.3998/ars.13441566.0044.006. hdl:2027/spo.13441566.0044.006. ISSN 2328-1286. ^ a b c Nair, Harish V. (24 January 2015). "Akhilesh gets Supreme rap in statues case". Daily Mail. Archived from the original on 25 January 2015. 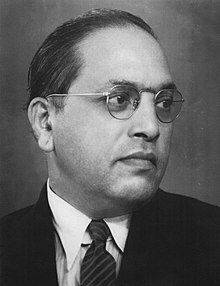 ^ "SC declines maintenance plea at Ambedkar memorial". The Indian Express. 1 December 2009. Archived from the original on 24 September 2015. ^ "Court rejects Mayawati's plea on Ambedkar memorial". The Hindu. 1 December 2009. Archived from the original on 24 September 2015. ^ Foy, Henry (4 December 2010). "Statutes and statues: Mayawati gets Supreme Court nod for sprawling memorial park". Reuters. Archived from the original on 24 September 2015. ^ "Maya statue vandalisation case: Prime accused Amit Jani arrested". Jagran Post (Jagran Prakashan Ltd). Kanpur. 28 July 2012. Archived from the original on 24 September 2015. ^ "Mayawati's statue damaged, CM condemns attack". Hindustan Times. 26 July 2012. Archived from the original on 24 September 2015. ^ "UP city administration replaces Mayawati statues overnight in Lucknow". Jagran Post (Jagran Prakashan Ltd). Kanpur. 27 July 2015. Archived from the original on 24 September 2015. ^ Tripathi, Ashish (27 July 2012). "Political compulsion makes SP govt reinstall Mayawati's statue". The Times of India. Archived from the original on 24 September 2015. ^ Akash WadhwaAkash Wadhwa, TNN (20 September 2015). "Ambedkar park - it doesn't get grander than this". The Times of India. Retrieved 30 September 2015. ^ Misra, Iti Shree (5 March 2014). "College classes suspended for Parineeti Chopra and Aditya Roy Kapur's 'Dawaat-e-Ishq'". The Times of India. Retrieved 20 April 2016. ^ "Urvashi Rautela shoots for Mika Singh's new music video". mid-day. 21 February 2016. Retrieved 20 April 2016. Wikimedia Commons has media related to Ambedkar Memorial Park. This page was last edited on 17 February 2019, at 16:34 (UTC).